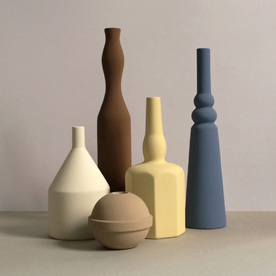 Le Morandine is a project dedicated to Giorgio Morandi and the art of the still life. 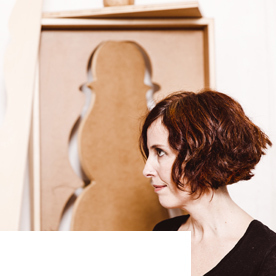 Conceived and created by Sonia Pedrazzini, in 2013 it was chosen by the prestigious catalogue ADI DESIGN INDEX. 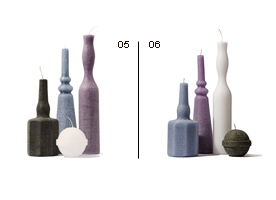 Sindroms, Marie Claire Maison, Elle Decoration UK, AD Germany, Falstaff, Living, Schöner Wohnen, DDN design diffusion, Wumagazine, Madame, Io Donna, Home, Case&Stili, Casaviva, Inventario, D Casa laRepubblica, THE TIMES Luxx magazine, Bravacasa, Corriere della Sera, Corriere Design, Artribune, Interni, Case da Abitare. 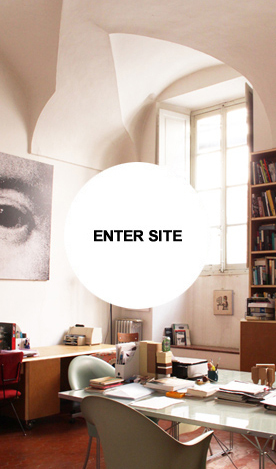 eclectic and versatile Italian designer, seeks the soul of things and creates narrations in the form of objects. 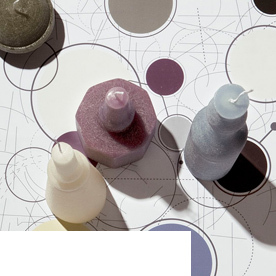 She creates products for industry and high-end perfumery while at the same time developing more experimental and deeper-reaching works. 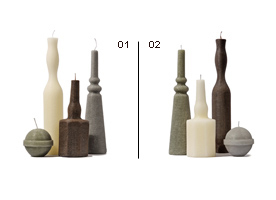 Surely for everyone, Giorgio Morandi means something. As soon as we hear his name, our minds recall the famous still life paintings, so motionless, so silent, and touched by that inimitable, opaque light. 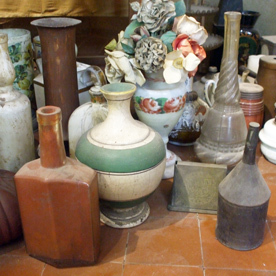 If you mention “Morandi”, you immediately remember his bottles. 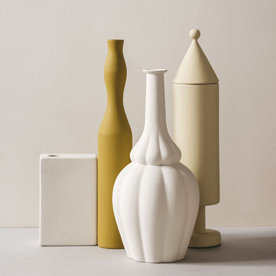 In order to better understand Morandi’s works, we must analyze the process he followed to create them-which was of paramount importance in their creation. 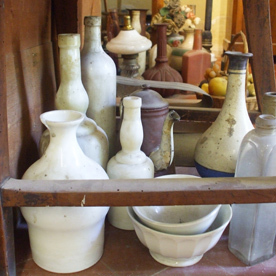 If we want to understand Morandi, we must visit his studio apartment at Via Fondazza, in Bologna. Only in this place, while looking at the tables he utilized and seeing the bottles which were the protagonists of his still life paintings, do we begin to understand the unbelievable project which kept him so active throughout his life. 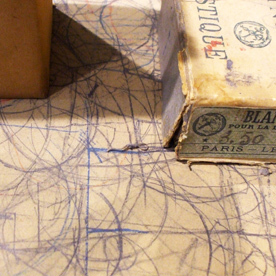 The surfaces of these tables, covered with tracing paper, are completely filled with pen and red or blue pencil marks. 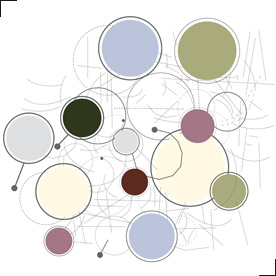 They are charts, roadmaps, paths, and labyrinths according to which the artist, in his daily experimentation, moved his bottles and other objects, varying from one composition to another, in an endless game of changing arrangements. 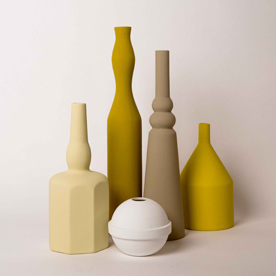 This observation can bring Morandi closer to our feelings. 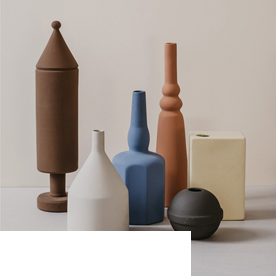 Morandi is, without doubt, the last of the great Italian painters who respected tradition, since he felt he belonged to it; however, and this is even more surprising, Morandi is also a completely contemporary artist, whose art cannot be separated from the process through which it was obtained. To understand him, we must refer back to this “true” Morandi. 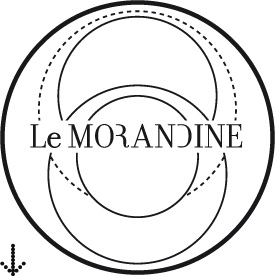 This is exactly the core meaning of the project “Le Morandine,” which you now have in your hands- a conceptual design work by Sonia Pedrazzini. Game, hobby, pedagogical tool, artistic creation, décor, and design for your mind- you may call it as you wish, and it does not matter. 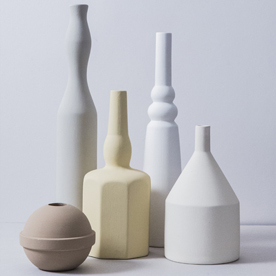 In the physical shape of wax candles or ceramic vases, here Morandi’s bottles are embodied, and you will have the opportunity to become like the artist in his world, which is both commonplace and far reaching. 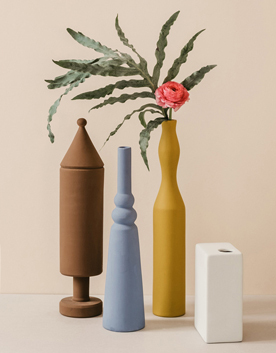 You may set down these shapes casually, or you may want to move them around to find the perfect arrangement, which will remain unaltered as long as you wish. Or you may, every morning, or even every hour, change their positioning, either slightly or drastically, looking for a better set-up. You may even just move them around on a whim, as a game, or yielding to sudden inspiration. 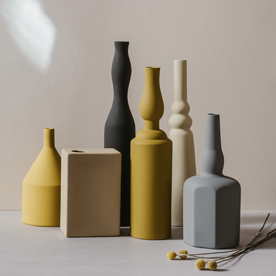 Let your gaze pause on these shapes, renditions inspired by those created by Morandi. Let their hues, faithfully taken from his paintings, penetrate you. You may place them on the guiding diagram, which was obtained from Morandi’s very own. Now it is only up to you, and you may do as you please. 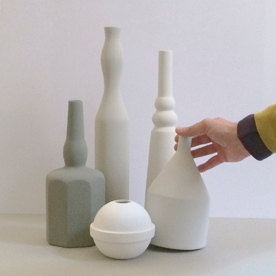 You can be the artist who plays with the hidden meaning of ordinary shapes and objects. Whatever you will decide to do, while participating, you will have “understood” Morandi, and, most of all, he will have “understood” you. 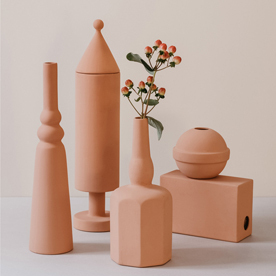 Le Morandine came into being as a conceptual work, a quest that - through the tools of design - examine the poetics of Giorgio Morandi’s compositive art and render the objects that the master represented in his still lifes in three dimensional form. The idea harks back to 1999, when it was proposed, without success, to a complement company. 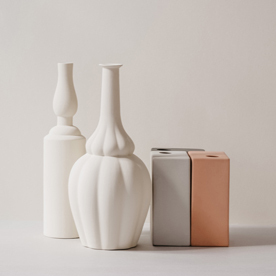 Some years after that, Sonia returned to the project at first completing the graphic pattern and the collection of candles and, following on from that, the series of ceramic vases. 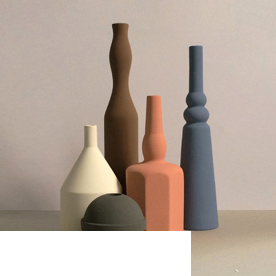 The work is evolving continuously and is a free experiment to explore - starting off from Morandi - of the art of the still life. 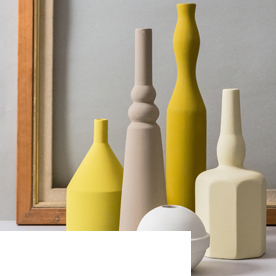 The concept of the Le Morandine line has been developed from the observation of lines, circles and pencil sketches Morandi marked on his work table to determine the correct placement of objects, and thus, establish the perfect artistic composition. 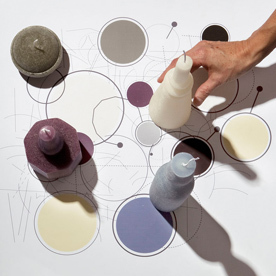 To complete the project, a pattern was created that reproduces, in a stylized way and with contemporary graphics, a “map of Morandi”, with the circular signs being the positions of his bottles. 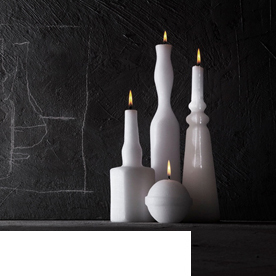 Those who own these candles and vases know that one can interact with them, arranging them on a level with the same freedom with which the Master moved his objects before capturing them on canvas. 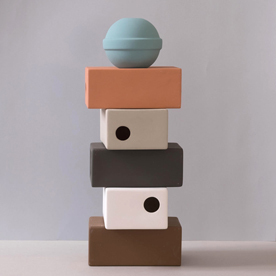 The limited edition of 300 boxes of candles has run out. 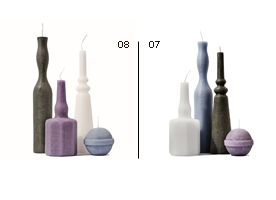 A few other compositions and single candles are still available on request. 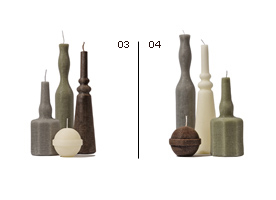 Handcrafted, the Le Morandine candles are embellished with a “weave” texture applied by hand, that makes them unique, giving that waxy light typical of Morandi’s works. 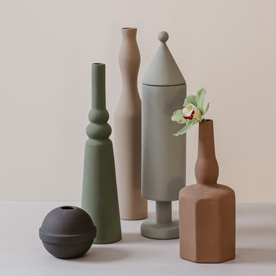 A collection of handpainted ceramic vases, the shapes of which conjure up Giorgio Morandi’s still lifes. 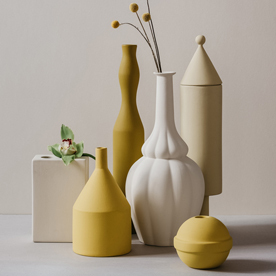 Handmade by Italian craftspeople on a design by Sonia Pedrazzini, the vases are available to order, the colours can be chosen from a broad palette of carefully selected hues. 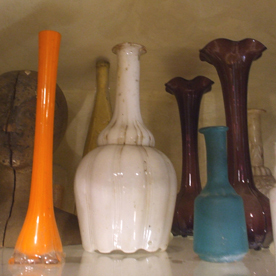 Each vase bears a monogram that guarantees its originality. 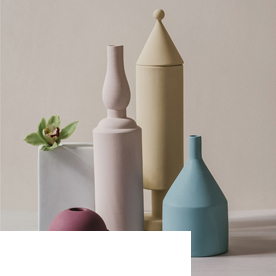 In the mode of Morandi, via direct experience, each and everyone of us can compose their ideal still life, continuously varying the combinations of the vases while trying to find a personal balance of forms and colors. "I believe that nothing can be more abstract, more unreal, than what we actually see. We know that all we can see of the objective world, as human beings, never really exists as we see and understand it. Matter exists, of course, but has no intrinsic meaning of its own, such as the meanings that we attach to it. We can know only that a cup is a cup, that a tree is a tree." 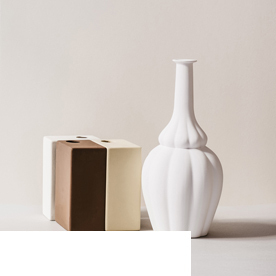 “One of the foremost Italian Still Life masters has inspired a talented Italian designer not only to give life to his paintings, but also to let us be part of that process. 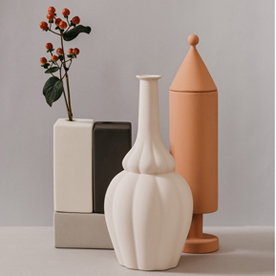 The “Le Morandine” candle series has successfully managed to transform the protagonists in Morandi's Still Life paintings into Real Life objects. 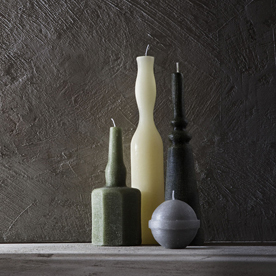 The famous Bolognese painter Giorgio Morandi who is known for his endlessly changing arrangements of bottles, bowls and jars before capturing them on a canvas, has now been given a new lease of life through the experience we are given through the medium of Pedrazzini's candles.